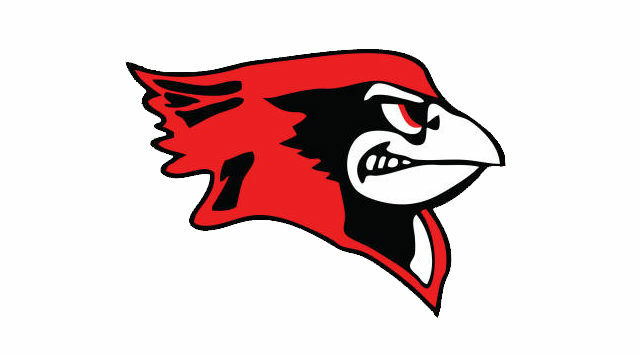 The Ell-Saline Cardinal varsity basketball squads fell in defeat Tuesday evening in Heart of America League play against the Inman Teutons. In the girls’ matchup, the Teutons raced out to a 14-3 advantage at the end of the first quarter, on their way to a 24-7 halftime edge. Inman put the game on the ice in the third period, outscoring Ell-Saline 22-9 on its way to a 52-25 victory. It was a team effort for Inman (12-2, 4-1,) as the state’s 3rd-ranked team in Class 2A had 11 players find their way into the scoring column. Sophomore Claire Thiessen came off the bench to score 11 points, leading all scorers in the contest. Junior Rachel Harman added ten points in the Teuton victory, while junior Lauren Maurer finished the night with nine points. Ell-Saline (0-13, 0-5) was led by freshman reserve Raleigh Kramer, who scored nine points off the Cardinal bench in the loss. In the nightcap, the Cardinal boys put a scare into the Teutons, who entered play Tuesday evening as the state’s top-ranked team in Class 2A. Ell-Saline trailed by just two points at the end of the first quarter before falling behind 21-16 at halftime. The Cardinals were still in the hunt at the end of the third quarter, trailing 41-30, but an 11-0 Inman run to start the fourth quarter put the game out of reach, with the Teutons prevailing 56-39. Inman (13-1, 5-0) was paced by talented 6’8″ senior Mason Thiessen, who posted 22 points to lead all scorers in the matchup. Senior guard Payton Froese chipped in with 12 points in the Teuton victory. A pair of Ell-Saline (3-11, 1-4) sophomores led the Cardinals in the loss, with Treyton Peterson finishing the night with 13 points, while T.J. Morrical added ten.